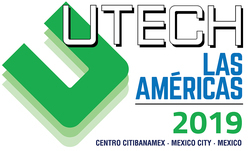 Mexico City, 4th April 2019: UTECH Las Americas, the only polyurethanes conference and exhibition in the Americas, to take place April 10th – 12th, at Centro Citibanamex, Mexico City, bringing together leading companies that spearhead the polyurethane and associated industries’ innovation. The presentation of this event was attended by Paul St. Amour, Vice President for Latin America Tarsus Mexico; Brennan Lafferty, Vice President & Group Publisher UTECH Exhibitions Crain Global Polymer Group; José Navarro, CEO Tarsus México and Heberto Moreno, Director of Engineering Plastics and Polyurethane Systems for BASF in Mexico, Central America and the Caribbean, who highlighted the importance of this material for the economy of various countries, because it adapts to the needs of all industrial sectors, since it is light, resistant and durable. Positioning itself as one of the most versatile materials nowadays, polyurethane is manufactured in North America, Mexico, Europe and China. The raw materials used for its manufacture are also produced in these regions, because they are considered technologically advanced, with good compliance with safety regulations. In Mexico, the polyurethane market has grown 8.1% since 2014, and according to the global report of PU Magazine Germany, a reference for the global industry, it is expected to continue growing at a rate of 5% per year until 2020, placing our country as the fastest growing market in America. The largest polyurethane markets are those of flexible foam for mattresses and furniture, as well as seats in all types of passenger vehicles. The next market in size is the rigid foam used to insulate buildings and appliances such as refrigerators and freezers. It should be noted that polyurethane is also found in clothing such as elastane, spandex and lycra. Most running and training shoes, as well as a wide variety of footwear, are made with soles of this material. Furthermore, polyurethane is used in coatings, paints and special rubbers that resist chemicals. According to Brennan Lafferty, the worldwide polyurethanes industry has grown has grown by at least 3% each year and a promising outlook is forecasted mainly for Mexico and the United States with a demand of more than 4%, which translates into almost four million tons of polyurethane produced per year in those countries combined. “Growing demand for sports shoes, applications in the automotive industry to make cars lighter to improve their gas mileage and encapsulating electronic circuits and sensors are examples of why the industry continues to grow. Researchers predict the industry will need to produce 200,000 additional tons of polyurethanes material needed each year to keep up with demand”, said Lafferty. He also indicated that by the year 2025, the global polyurethanes industry will reach 77 billion dollars. In our country, the refrigeration market is one of the most solid and has become one of the major exporters of this type of household appliances; "Refrigerators represent around 30% of demand for polyurethanes in Mexico and the growth for this market is 5.6%", he said. It is important to mention that across Mexico and the United States, 37% of polyurethane is used in the construction sector, for this reason rigid foam is increasingly called upon to meet building regulations for insulating homes and offices. Brennan Lafferty explained that this meeting will be an excellent opportunity for the global polyurethanes industry to gather and meet key decision makers throughout the region, in addition to prospecting new business opportunities. José Navarro, reported that UTECH Las Americas is held every two years and will have an important audience from Mexico, in addition to attracting a large number of visitors from the Americas. "We expect the attendance of a significant number of professionals from the automotive and transportation industries; building; footwear and clothing; furniture and white-goods household items, sanitary products, marine and offshore; paints and coatings; electrotechnical and aerospace," said Navarro. 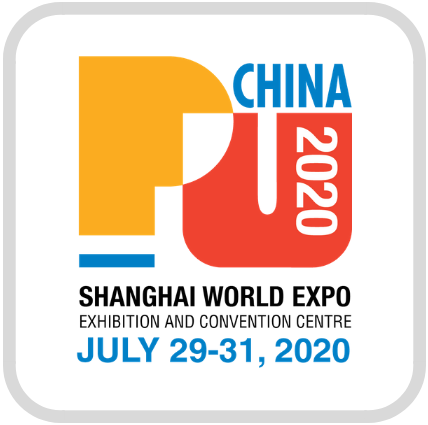 "The exhibition will present the latest technologies available in the polyurethane market; solutions and products so that visitors can compare their performance. They will also have the opportunity to participate in innovative presentations and obtain a privileged knowledge through the analysis of case studies to acquire competitive advantages in their sector," said St. Amour. 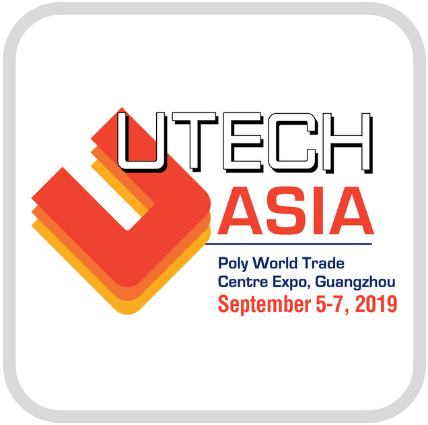 Based in Asia, Europe and North America, UTECH is a world class event that this year will bring together more than 85 national and international exhibiting companies, leaders in the polyurethane market among which stand out: BASF, Cannon, Carpenter, Chromaflo, COIM, Covestro, Elastomeros Taza, Evonik, Grupo Valfer, Hennecke, Huntsman, Krauss Maffei, Polylubex, Productos Eiffel, Química Sagitario and Wanhua. For three days, the event will address trends that impact the industry in this region and the USMCA region, through a technical and corporate approach and integrates various sectors, such as automotive, medical, construction, footwear, flexible and rigid foam applications, composite materials, blowing agents, and releasing agents. 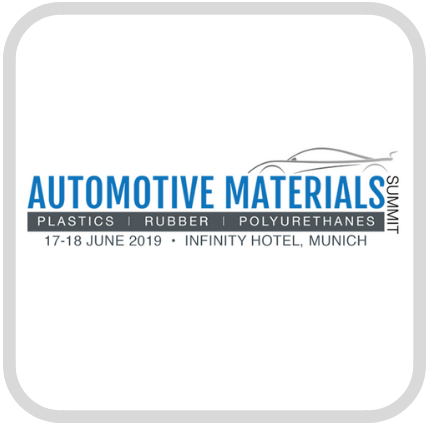 Additionally, the latest breakthroughs in polyurethanes will be presented, along with innovation in machinery and polyurea, as well as conferences on key topics, including sustainability and the closing of the circular economy. The event’s conference program encompasses innovative talks and case studies to provide a competitive advantage for all participants, while further debating the latest challenges and exploring topics of significant relevance for the industry including: Development of polyurethane foams in automotive under the hood applications; Water-based "cool touch" technologies for the flexible foam market; The advantages and disadvantages of automation in polyurethane injection processes; Efficient production of specialty flexible foam grade; Innovations for superior comfort in footwear production; Sustainable construction: polyurethane as an enabling element of a faster, cleaner and energy efficient industry; Novel polyester polyols based on recycled PET, among others. *Programme may be subject to change. Some of the national and international speakers who will participate are: Jan Buberl, Vice President – Americas, Huntsman Polyurethanes & Global PO/MTBE Business; Jamie Spears, Research Chemist, Carpenter Co; Celso Toyoshima, Technical Application Manager, Evonik; Luis Arturo Maciel Miranda, Maintenance Manager, Lear Corporation; Jeffrey Janos, Research Associate, Stepan Company; Salvador Mejía Gómez, Latin America PUR Foam Application Development Manager, Honeywell: Luca Fanti, Global Techno-Commercial Manager, Huntsman Tecnoelastomeri; Raul Dacomba, Senior Formulating Chemist, Foam Supplies; Netza Lopez, Senior Account Manager NAFTA Region, Carpenter Co and more. 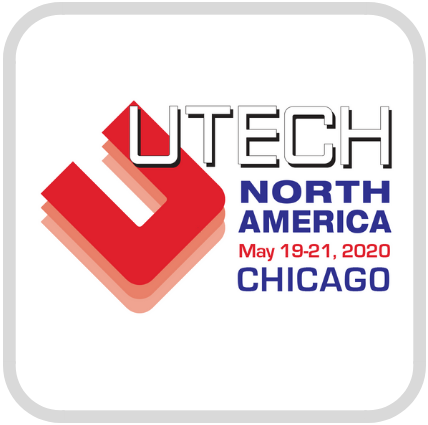 UTECH Las Américas will offer its visitors an excellent opportunity to build business relationships between suppliers and buyers of industries in constant growth, for networking; to gain technical knowledge; to see product launches and new equipment. Additionally, the event will allow visitors to remain updated and learn from the most authoritative voices in the industry through the event’s top-tier conference program. UTECH Las Americas is the only conference and exhibition dedicated specifically to the polyurethane and associated industries held for the Latin American markets. It is a must-attend event for the polyurethanes industry throughout the region. The trade show has attracted top-level exhibitors from a broad cross-section of the industry with exhibitors including industry leaders such as: BASF, Cannon, Carpenter, Chromaflo, COIM, Covestro, Elastomeros Taza, Evonik, Grupo Valfer, Hennecke, Huntsman, Krauss Maffei, Polylubex, Productos Eiffel, Quimica Sagitario, Wanhua and many more. Crain Communications is the organizer of UTECH Las Americas in partnership with Tarsus México. Crain Communications organizes a successful, global series of polyurethane events including UTECH Europe, UTECH Asia, PU China and UTECH North America. 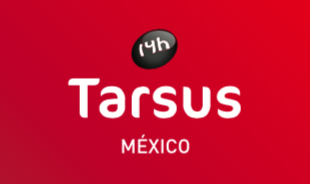 Tarsus Mexico is distinguished for being the organizer with the longest track record in the Mexican market, since 1991, presenting events of international quality with the trends, innovations, and local and global landscape for sectors such as water, foods and beverages, energy and hydrocarbons, styling, manufacture, the environment, smart mobility, polyurethane, plastic, and textiles, among others. As of today, Tarsus Group is one of the most important organizers worldwide, with more than 150 events from 20 industries in 17 countries, bringing together 30 thousand exhibitors and more than one million visitors every year. The only event in Mexico dedicated exclusively to polyurethanes and associated industries will take place on April 10th – 12th, 2019 at Centro Citibanamex, Mexico City. Technologies, solutions, trends, and networking during the second edition of UTECH Las Americas. During its conference program, the event will host renowned national and international speakers to analyze key industry topics in the region. Mexico City Feb. 26, 2019. - UTECH Las Americas, the only polyurethanes conference and exhibition in Mexico, will take place on April 10th – 12th, at Centro Citibanamex, Mexico City, bringing together leading companies that spearhead the polyurethanes and associated industries’ innovations. The show attracts a large Mexican audience as well as drawing visitors from the Central and South American regions. It is also easily accessible from North America. For three days, the event will address trends that impact the industry in this region and the USMCA region, through a technical and corporate approach, integrating various sectors, such as automotive, medical, construction, footwear, flexible and rigid foam applications, composite materials, blowing agents, and releasing agents. Additionally, the latest breakthroughs in polyurethanes will be presented, along with innovations in machinery and polyurea, as well as presentations on key topics, including sustainability and the circular economy. Some of the national and international speakers who will participate are: Steve Burns, Vice President, Polyurethanes, Americas, Huntsman Corp; Celso Toyoshima, Technical Application Manager, Evonik; Luis Arturo Maciel Miranda, Maintenance Manager, Lear Corporation; Jeffrey Janos, Research Associate, Stepan Company; Salvador Mejía Gómez, Latin America PUR Foam Application Development Manager, Honeywell; Luca Fanti, Global Techno-Commercial Manager, Huntsman Tecnoelastomeri; Raul Dacomba, Senior Formulating Chemist, Foam Supplies; Netza Lopez, Senior Account Manager NAFTA Region, Carpenter Co; and more. 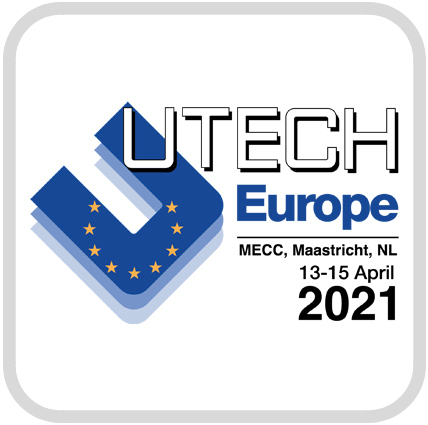 The second edition of UTECH Las Americas will have the participation of over 85 national and international exhibitors: leading companies in the polyurethane market including BASF, Cannon, Carpenter, Chromaflo, COIM, Covestro, Elastomeros Taza, Evonik, Grupo Valfer, Hennecke, Huntsman, Krauss Maffei, Polylubex, Productos Eiffel, Quimica Sagitario, Wanhua and many more. Polyurethane plays an essential role worldwide in the economies of various countries, since it can adapt to the needs of practically all industrial sectors, while offering advantages no other material has, such as light weight, resistance, and durability. Polyurethane has positioned itself as one of the most versatile materials to date. In Mexico, the polyurethanes market has expanded up to 8.1% since 2014, making the country the fourth largest market after China, the United States, and Germany. Additionally, the automotive industry has triggered a surge in the demand of this material, thanks to the search for polyurethane solutions employed in air and fuel filters; acoustic and thermal insulators; internal components, accessories, and even the complete structure of a vehicle that help reduce weight to increase fuel efficiency. Therefore, car manufacturers worldwide have forecasted to achieve fuel efficiencies of over 21.2 km/liter for 2025, for which purpose polymers, such as polyurethane, are a better alternative to conventional steel while being 30% lighter than aluminum. Given this scenario, UTECH Las Americas will offer its visitors an incredible opportunity to build business relationships between suppliers and buyers of industries in constant growth; for networking; to gain technical knowledge; and to get familiar with recently-launched products and new equipment. Additionally, the event will allow visitors to remain updated and learn from the most experienced names in the industry through the event’s top-tier conference program. UTECH Las Americas is targeted for professionals in the Automotive and Transport, Construction, Footwear and Apparel, Furniture and Appliances; Domestic Appliances, Sanitary Items, Marine & Offshore, Paint and Coatings; and Electrotechnical and Aerospace industries. Repi will focus on the in‐house-engineered equipment CP1. The dosing unit offers the chance to improve the quality of the colouring process and to reduce production times on low-pressure machines, since the colour/additive is dosed directly at the mixing head of PU low-pressure casting and injecting machines with extreme accuracy. The liquid is metered from the drum directly into the mixing heads, avoiding mass colouration of the polyol and considerably reducing colour change and tank cleaning times. CP1 is part of a range of equipment, which gives the opportunity to dose up to 4 lines of colour dispersions simultaneously. Live demonstrations of the unit will be performed during the show by Repi’s technicians. About REPI LLC: REPI LLC is the American production site of the Group, which has HQs in North Italy and other subsidiaries in the US, UK, Russia and Thailand. The company serves the Automotive, Building and Construction, Cast Elastomer, Footwear, Furniture, Coating and Packaging Industries. Cutting edge R&D and prototyping departments allow REPI to develop projects together with customers, sharing know-how and creating addedvalue products. 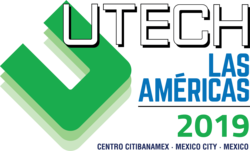 The UTECH Las Americas conference will address industry trends affecting the region and surrounding NAFTA market area it supplies. The program covers a wide range of subjects including automotive, construction, footwear, coatings, adhesives, sealants and elastomers (CASE), flexible foams, rigid foams, composites, blowing agents and release agents. Papers also cover key industry themes including sustainability, machinery innovation and advances in polyurethanes science. Steve Burns, Vice President, Americas, Huntsman Performance Products - Polymers & Resins will deliver the conference’s opening keynote address on Wednesday, April 10. Papers addressing automotive uses of polyurethanes include Development of polyurethane foams in automotive under the hood applications by Ernesto Román Calderón, Technical Service and Development, The Dow Chemical Company, and TPU injection as an efficient alternative to cast molding in the automotive industry, by Rodrigo Chinen, New Business Development Manager, Lubrizol. Among papers looking at the circular economy will be Novel polyester polyols based on recycled PET, given by Netza Lopez, Senior Account Manager NAFTA Region, Carpenter Co. In addition, Alvaro Ballesteros, Technical Service and Development, The Dow Chemical Company will present two sustainability-themed papers to the conference, Sustainable construction: polyurethane as an enabling element of a faster, cleaner and energy efficient industry and Versatile, environmentally friendly formulations for compliance and performance. Other program highlights include Luis Garcia Correa, Technical Service and Development, The Dow Chemical Company who presents on Water-based "cool touch" technologies for the flexible foam market and Salvador Mejía Gómez, Latin America PUR Foam Application Development Manager, Honeywell presenting on Comparative performance of Honeywell’s Liquid Blowing Agent (LBA) and other alternatives in the appliance industry. 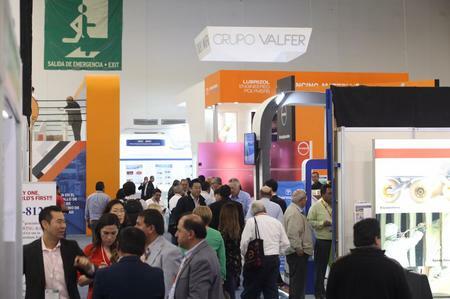 Held in conjunction with the conference, the UTECH Las Americas trade show connects suppliers and buyers from across the polyurethane industry for three days of networking, learning and identifying new business opportunities. Exhibiting companies include both local Mexican and major global names in the polyurethanes market including BASF, Cannon, Carpenter, Chromaflo, COIM, Covestro, Dow, Elastomeros Taza, Evonik, Grupo Valfer, Hennecke, Huntsman, Krauss Maffei, Polylubex, Productos Eiffel, Quimica Sagitario, Wanhua and many more. UTECH Las Americas draws from a broad range of polyurethane professionals representing numerous industries innovating with polyurethane. This includes automotive, building and construction, furniture, footwear, insulation as well as specialist applications such as medical. Join the UTECH LinkedIn Group at: https://www.linkedin.com/groups/3869236 or like us on Facebook at https://www.facebook.com/UTECHPolyurethane2/. For news and updates, follow UTECH Las Americas on Twitter at: www.twitter.com/utech_PU. You can also follow the event hashtag #UTECHLAto see the latest news about the event. ABOUT UTECH Las Americas: UTECH Las Americas is the only conference and exhibition dedicated specifically to the polyurethane and associated industries held for the Latin American markets. It is a must-attend event for the polyurethanes industry throughout the region. The trade show has attracted top-level exhibitors from a broad cross-section of the industry with exhibitors including industry leaders such as: BASF, Cannon, Carpenter, Chromaflo, COIM, Covestro, Dow, Elastomeros Taza, Evonik, Grupo Valfer, Hennecke, Huntsman, Krauss Maffei, Polylubex, Productos Eiffel, Quimica Sagitario, Wanhua and many more.